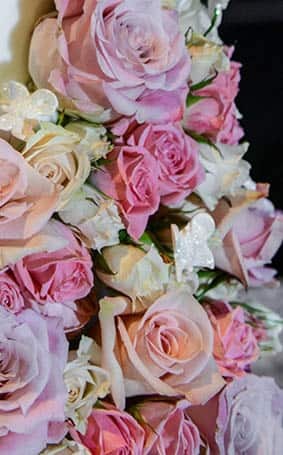 Five tiers of beautiful multicolored roses almost completely envelop today's white wedding cake. 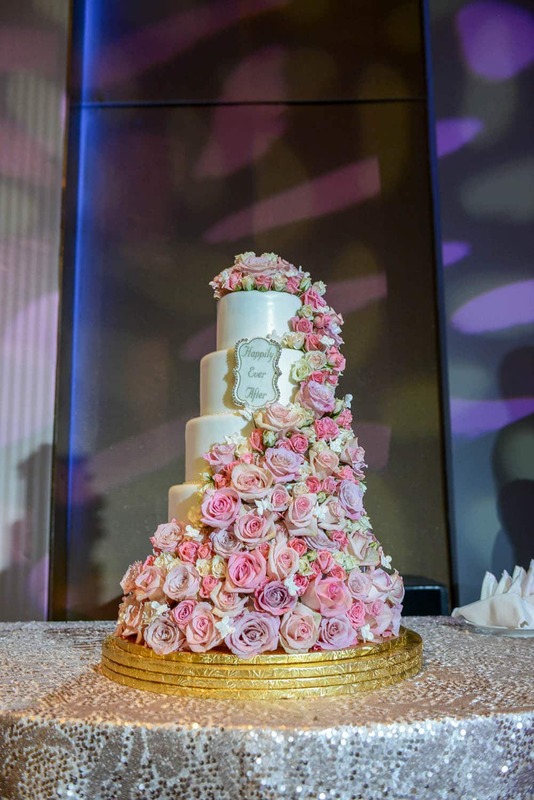 The stacked flowers in varying sizes flow from top to bottom like a blooming waterfall. 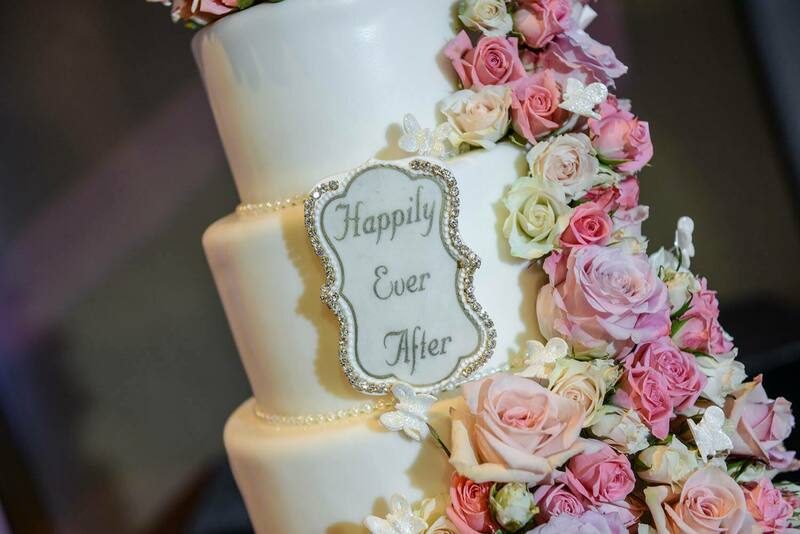 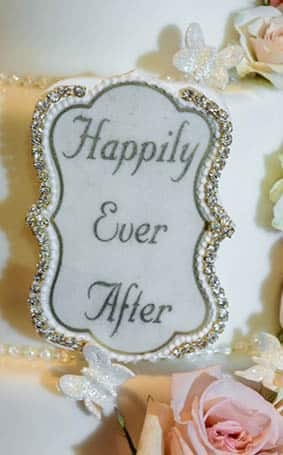 Glittering white butterflies soar among the petals as a tribute to the bride's grandmother, and the shimmering sign proclaims "Happily Ever After" for these lucky newlyweds.